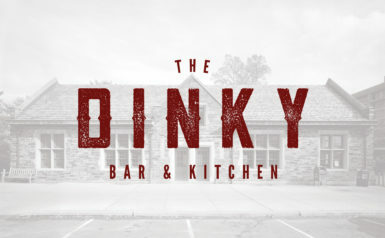 The Dinky Kitchen & Bar is a welcoming and simple bar offering locally-sourced, ingredient-driven snacks, small plates and more. 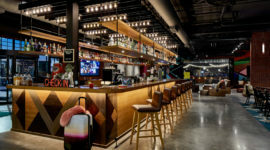 Whether meeting an old friend for a drink, gathering after work for a few laughs, or grabbing a bite before the theater, the Dinky is a comfortable gathering place where you will enjoy honest fare, good drink and hospitality. 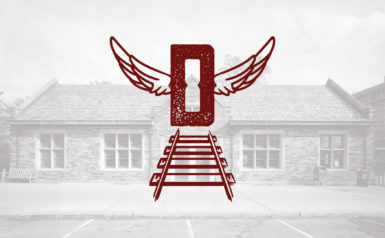 The building’s former use as a train station on Princeton’s famous “Dinky Line”, lends inspiration to both the interior design and brand identity. 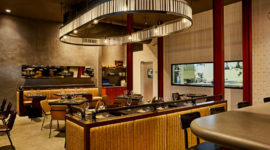 Celano design took this inspiration giving the environment an overall light industrial, contemporary feel. Textured plaster walls envelope the space, keeping the overall tone light but also providing a sense of tactility says Vincent Celano principal at Celano Design. 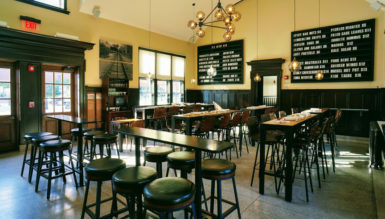 Patrons can enjoy carefully crafted cocktails and snacks at the bar, which is anchored by a large decorative metal bottle display and clad in warm red wood surrounded by deep green leather bar stools. 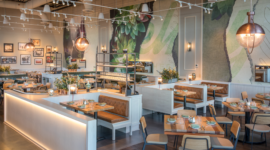 The dining room offers a communal seating experience at one of the six reclaimed wood tables. The space is illuminated with a custom hanging feature chandelier and several pendant lights. The brand identity roots itself in the historical context of the building, and is represented through various touchpoints. The transit ticket menu boards act as a large feature piece to provide daily food and beverage offerings. 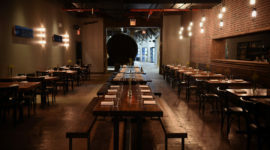 Hand-held menus and uniforms are kept simple to match the casual vibe of the space. 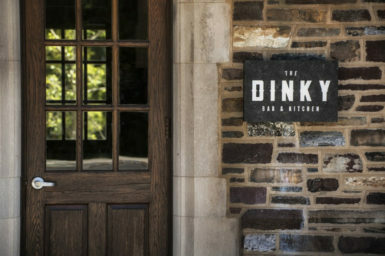 It was important to utilize the name “The Dinky” as a memorable moniker, since it is unique to the history of the University and Princeton community says Mike Dereix graphics and branding director at Celano Design.